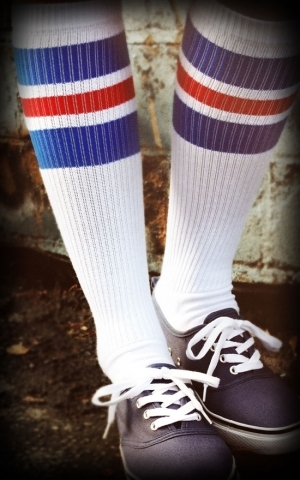 A perfect styling doesn't stop at the ankles, therefore, the socks of Spirit 76 will complete every of your vintage outfits. 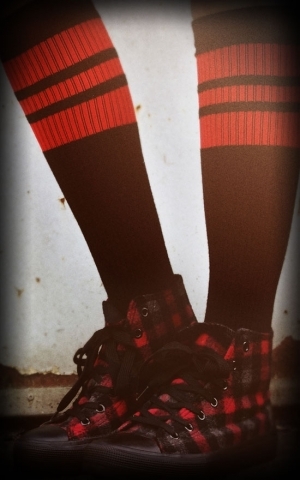 Paired with the right shoes these socks give your lower body the same chilled vibe as it is above your waistline. 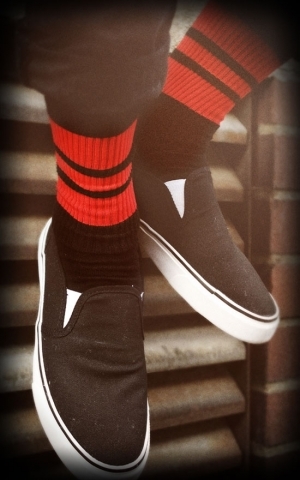 Since 2012, the German label has been committed to the production of old-school socks for skaters, bikers and rockabillies who want to dress their feet fittingly. 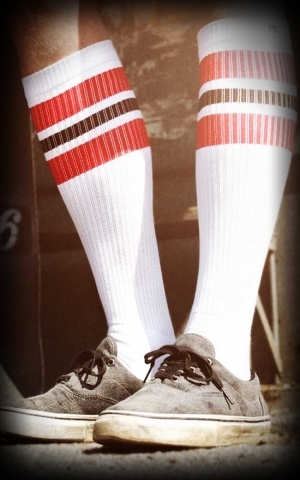 Available as hi- and lows and offer both a timeless vintage look with awesome wearing comfort, just the right thing for a rock'n'roll lifestyle. 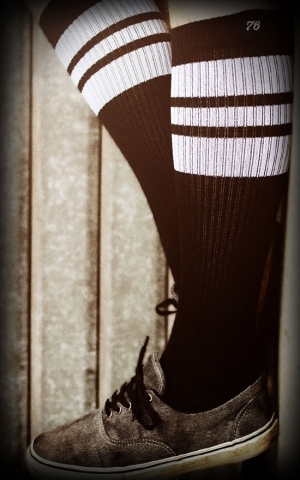 Socks by Spirit 76 are available with stripes, ribbed and in different color combinations. 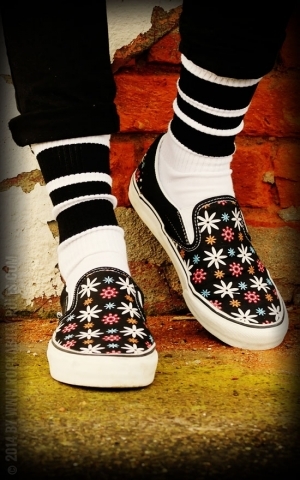 They flatter men's and women's legs and can be worn while skating or at the next festival. 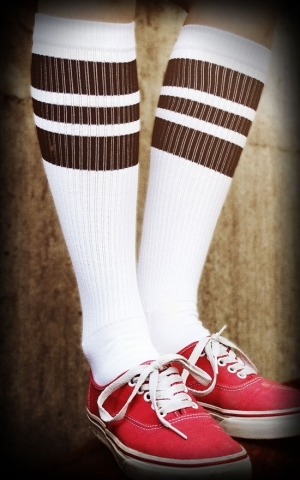 Combined with shorts or a skirt they are really eye-catching. 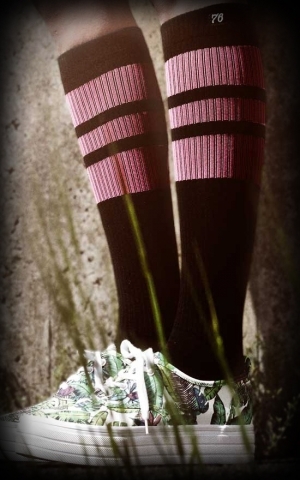 The company produces in Germany only and doesn't merely focus on a cool visual appearance but also takes care of a stable half-foot plush, a well-chosen mix of materials and a pre-shaped heel to make sure that you feeling chilly when wearing these socks, no matter where you are or what you're doing. 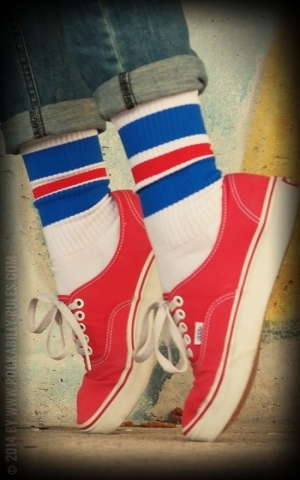 Now available in our shop - skater- and oldschool socks by Spirit 76!